Ruth Dugdall’s new book spins around one striking event. A child plummets from the Humber Bridge. He is seen by a schoolteacher, who had been fishing on a day when he might have been – some would say should have been – at a union rally. He plunges into the water, in front of his stunned teenage daughter, in a desperate attempt to rescue the child. His cause is hopeless; the boy is lost. CCTV footage and witness statement led the police to two young brothers, who had fled from the bridge as the boy fell. They were tried, convicted, and imprisoned; but of course that wasn’t the end. This story begins eight years one, when the younger of the two brothers – who had been known to the media as Humber Boy B – was released. He was given a new identity, and he was expected to start a new life, leaving everything and everyone he had know behind. Responsibility for the newly renamed ‘Ben’ fell to probation officer Cate Austin. That’s what made me eager to read this book, when the subject matter would usually make me wary. I read Ruth Dugdall’s two earlier novels that followed Cate’s life and work a few years ago, and I was very impressed. The perspective is interesting, because this is a crime novel about not detection and investigation but the consequences of crime and what happens in the future to the accused and the convicted. It is clear that the author, a former probation officer, knows of what she writes; and I appreciate that Cate is utterly believable as a professional woman. She’s a a single mother, who copes well with her teenage daughter, and her daughter’s relationship with her father, who lives nearby with his new family. And she is good at her job, aware of the importance of the work of the probation service, and of the difference if makes. Her own story is secondary, but it has similarities with the case she has been assigned without that ever seeming contrived. There are many thoughtful touches like that in this book. Ben’s is the highest profile case Cate has ever had to manage, and she is apprehensive. She is well aware that there are many who believe that he shouldn’t have a fresh start in life, that he hasn’t been punished enough, and there will be some who to find him. She knows that media coverage and social media pose a threat. She also knows that after eight years – from the age of ten to the age of eighteen – in an institution ‘Ben’ would have a lot of adjusting to do, that it would be difficult, that success was by no means guaranteed. The story moves, quite naturally, between different perspectives in the past and in the present. A picture of that day in the past is built up slowly, from the accounts of those who were close to events, or those who crossed paths with those involved. It’s very effective; making it clear that there was a chain of consequence, and that many lives were affected. It was clear that those should have cared and supported ‘Ben’ let him down badly; it was also clear, as his story in the present unfolded, that the system that had been supposed to rehabilitate him and prepare him for his new life had failed. Cate did what she could, and she wanted to do more, but she was constrained by her superiors who felt that enough time and money had been spent on one undeserving young man, and by changes to the way the probation service was expected to operate. Even though I knew what he had done, watching ‘Ben’ trying to deal with things was moving. He had no idea how to live in the new flat he had given; he didn’t know what things cost; he didn’t know how buses worked or where to go and what to do; he didn’t know how to be around people, or who he was supposed to be. 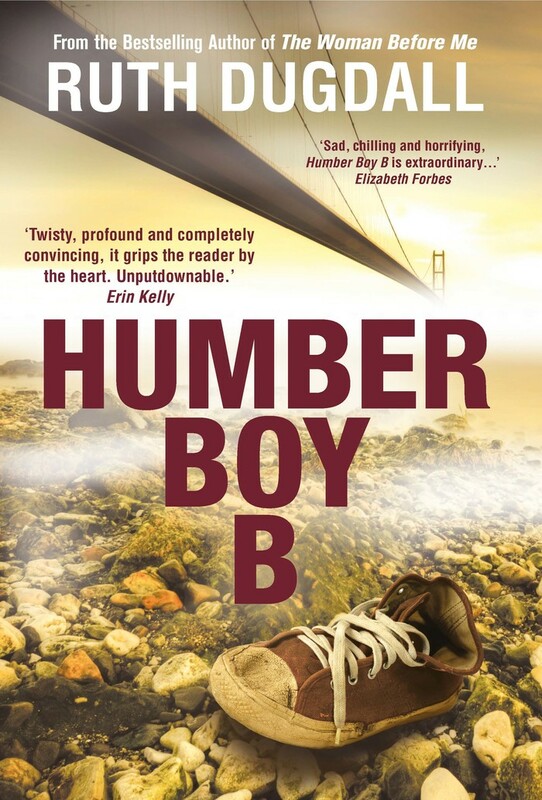 And then there were extracts from the Facebook page created by the mother of the dead boy, who wanted to find Humber Boy B. Not, she said, because she wished him harm but because she wanted to meet with him, to talk to him, to try to understand what had happened. There was another poster though – ‘Silent Friend’ – who wanted more for the bereaved mother, who seemed more than ready to act on her behalf. All of these threads work together to move the story forward, with the question of what happened – and what would happen – always hovering. The style is understated, the story of what has happened – what is still happening is clear, but it is never sensationalised. And though there is an obvious parallel between this story and Jamie Bulger case, there are enough differences and enough respect for this story not to feel exploitative. The understatement was very effective, because it made the tragedy, the horror, of what had happened all the clearer.. The ending was unexpected; it turned everything on its head, and it still has me thinking. This is a book that works as a human drama, it works as a social study, while remaining a very good – and very readable – piece of crime fiction. Wonderful, thoughtful review Fleur. I have a book that I need to read and review by 10th and I’m dying to read this, which I have – sometimes knowing you HAVE to do something puts you off, even though it’s a great book! But this sounds fascinating! Was just thinking about how he didn’t know how much things cost or how buses worked – a bit like David Cameron, really. I know I’m being flippant, but it’s true. To the top of the TBR – Lady F always cheerleads your reviews, and hers are wonderful, too! Excellent Review…I must get this one sometime…extremely unusual premises and plot! That’s a book I’m really interested in reading, as it sounds very different from the usual crime fiction fare. Like you I was impressed that Ruth Dugdall managed to steer clear of obvious comparisons with the murder of Jamie Bulger which would feel exploitative. The understated nature of the writing and the way the author leaves enough gaps for the reader to form their own ideas made this book a complete winner for me. Cleo has already put this one on my ‘wanted’ list and your review confirms that it’s one I want to read. When I saw the blurb I thought it might be rather tastelessly using the Bulger case, but all the reviews I’ve seen make it sound much more thoughtful than that. Thanks! This sounds really intriguing. Books about the affects crimes have sometimes are more interesting than those with crime at its heart. I have just read Split Second by Cath Stancliffe, about the consequences of stepping in to help a victim. Eye opening! Will look out for this one.